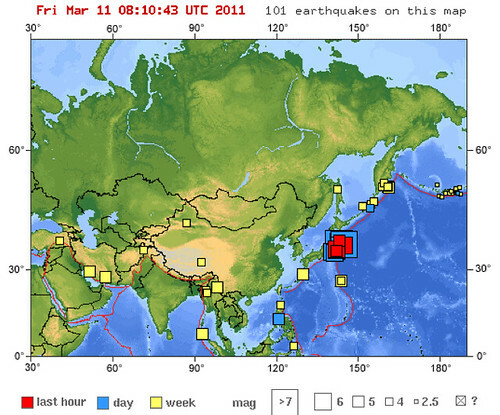 There has been an 8.9 earthquake off the coast of Japan. 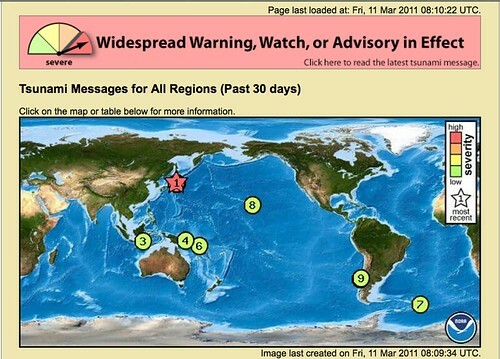 Parts of Japan have been hit by a large Tsunami and Hawaii is under a tsunami watch with evacuations underway. You can see a live news feed from a Hawaiian TV station by clicking here.